It’s already making a lot of noise. 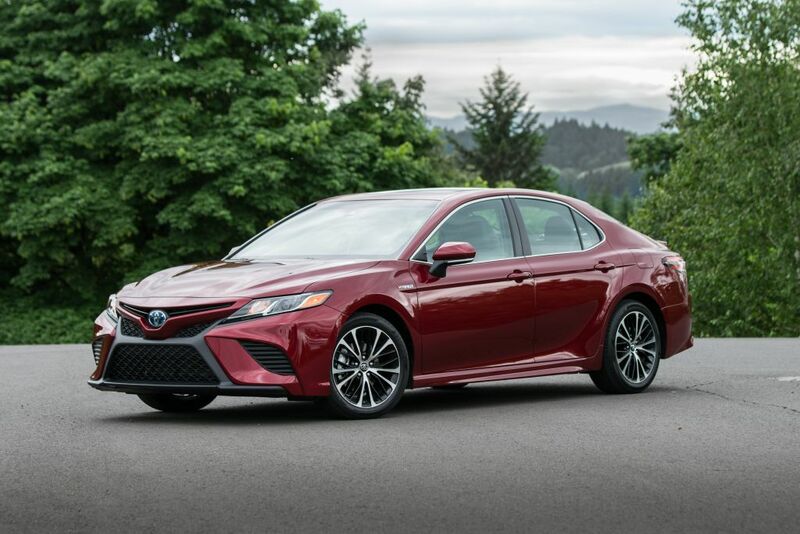 The all-new 2018 Toyota Camry, the best-selling car in America for the past 15 years, is now at dealers. The excitement over the eighth-generation sedan is the result of its total evolution, from a proven, dependable and safe car to one that adds a more exciting and emotional character, thanks to its much talked about newfound performance and style. Utilizing a combination of both higher-pressure direct fuel injection (DI) and lower-pressure port fuel injection (PFI) – – controlling the appropriate fuel injection method in accordance with certain driving/operational conditions – – and new multi-hole (six per injector) nozzle direct injectors further elevate both fuel economy and power production. The 24-valve DOHC 3.5-liter V-6 engine employs the VVT-iW system for the intake, with VVT-i (Variable Valve Timing – Intelligent) on the exhaust, an efficient 11.8:1 compression ratio and a more squared bore and stroke of 3.70 inches and 3.27 inches, respectively, in comparison to the longer stroke of the Camry’s new 2.5-liter inline 4-cylinder power plant. Power output is rated at 301 horsepower at 6,600 rpm an impressive torque rating of 267 ft.-lb. at 4,700 rpm. Despite its exceptional power output, the new 3.5-liter V-6 engine achieves exemplary fuel efficiency with an EPA-estimated rating of 22 mpg city/33 mpg highway/26 mpg combined, an increase of eight percent for combined mpg over the previous V6. Another key change to the PCU is a revised DC-DC converter (converts a source of direct current from one voltage level to another) that sees its control output optimized – – including the conversion to AC power – – helping to reduce the vehicle’s overall power consumption. What’s more, the output filter for the DC-DC converter has been redesigned so that it is more dimensionally compact (improved packaging/weight savings) and produces less noise (reduced NVH).